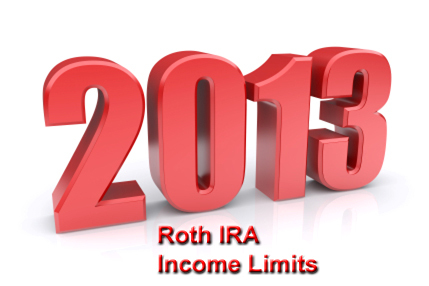 What are the 2013 Roth IRA income limits? If you plan to make a contribution for the 2013 tax year, you need to know. The answer of course depends on your tax filing status. In other words, whether you file as single, head of household, married filing jointly, married filing separately, or some other status. From 2012 to 2013, the allowable income limits for making a Roth IRA contribution changed for each tax filing status, so it's important to know the updated IRS rules. If this describes you, then it's best to consult with a financial professional in order to calculate the exact dollar amount of your contribution given the Roth IRA income limits. While the 2013 Roth IRA income limits bar married couples earning more than $188,000 and single persons earning more than $127,000 from making a direct Roth IRA contribution, a 2010 rule change offers hope. If you currently earn too much to directly contribute to a Roth IRA, you can still fund one in full by taking advantage of this rule change. 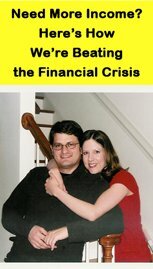 In January 2010, Congress eliminated the $100,000 adjustable gross income (AGI) limit on Roth conversions - an act which effectively eradicated the IRS income limits for 2010 and the years which follow. Because anyone, regardless of income, can make non-deductible contributions to a Traditional IRA. And since there's no longer an income limit on Roth conversions, they can immediately convert those non-deductible contributions to a Roth IRA. Let's say you're 37 years old and single. Most of your peers are able to contribute the maximum $5,500 to a Roth IRA for the 2013 tax year, but you can't. Because you earn $175,000, well in excess of the $127,000 income limit for 2013. Nevertheless, you can still make $5,500 worth of non-deductible contributions to a Traditional IRA. And since the $100,000 income limit on Roth conversions is no longer in force, you can immediately convert your Traditional IRA to a Roth IRA. Since your original contributions were non-deductible and you haven't had a chance to generate earnings yet, the conversion is completely tax free. So presto! You just contributed $5,500 to your Roth IRA for the 2013 tax year even though you earn more than the 2013 Roth IRA income limits.